One of the most commonly misunderstood options of the PeakTrace™ Basecaller is stealth mode. The specification of the .phd.1 and .scf file requires that the basecaller and trace processor used are recorded. 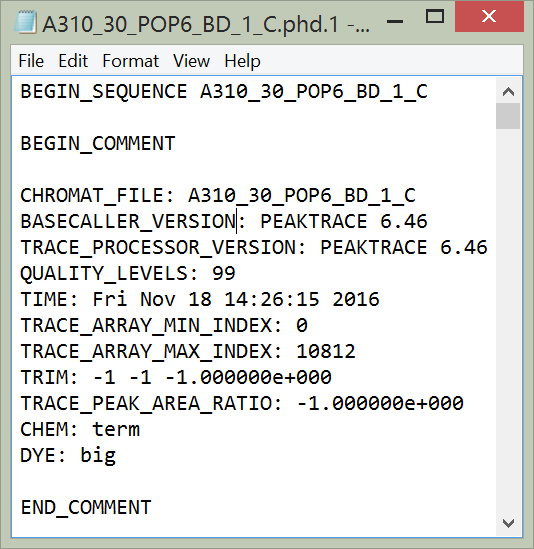 If PeakTrace is used then PeakTrace should be noted in these files (Figure 1). Figure 1. .phd.1 file generated by PeakTrace when not using stealth mode. If stealth mode is selected then the trace processor and basecaller recorded within the .phd.1 and .scf files will be KB™ 1.4, hiding that the trace was processed with PeakTrace (Figure 2). Figure 2. .phd.1 file generated using stealth mode. We would prefer that nobody uses stealth mode. Not only is it misleading, it avoid end users knowing that they have got a better trace from their facility using PeakTrace. The reason why we offer this mode is that one of the major benefits of PeakTrace for commercial users is that it provides a huge competitive advantage over other Sanger DNA sequencing facilities that only use the KB Basecaller – the end user gets more accurate basecalling, longer reads and improved trace chromatograms. Stealth mode allows commercial users to maintain this competitive advantage without letting the competition know how they are able to win so much new business. The bottom line is that this is a feature requested by our customers (the DNA sequencing facilities), not one that we want anyone to use. Having said this, if your competitors are so keen for you to not find out about PeakTrace then maybe it is a very good idea to investigate what PeakTrace can do. The facilities using PeakTrace are not doing so because they like to waste money, they are doing it because every time one of your customers sees the quality of the sequencing data they switch to their service. The good news is you can use PeakTrace too. One of the more commonly misunderstood setting within PeakTrace™ is the force processing option. This option will allow you to force PeakTrace basecalling of files that would normally be rejected by PeakTrace for poor quality under normal circumstances (Figures 1 & 2). Figure 1. An example low quality trace that PeakTrace fails under default conditions. Figure 2: Successful PeakTrace basecalling of the same trace after force processing has been toggled on. Force processing may be useful when you wish to proceed with processing poor quality traces that are not able to basecalled by PeakTrace under standard basecalling settings. Forced processing may allow PeakTrace to rescue some usable data from an otherwise unusable trace (Figures 2 & 3). Figure 3. A side by side comparison of the original trace, and the force processed trace. 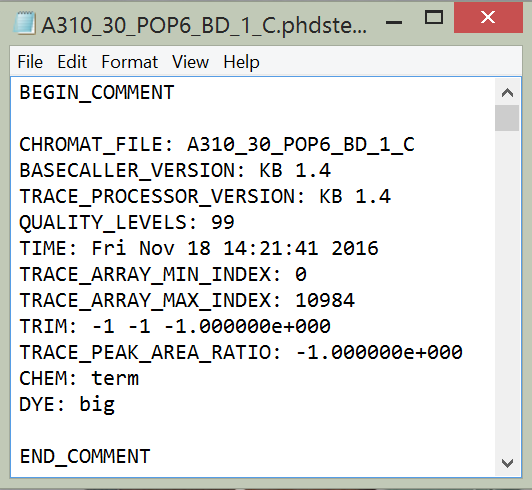 The original trace failed to be basecalled by KB, and was also rejected by PeakTrace under the default settings due to poor quality. Force processing has allowed the PeakTrace basecalling and trace processing to proceed. 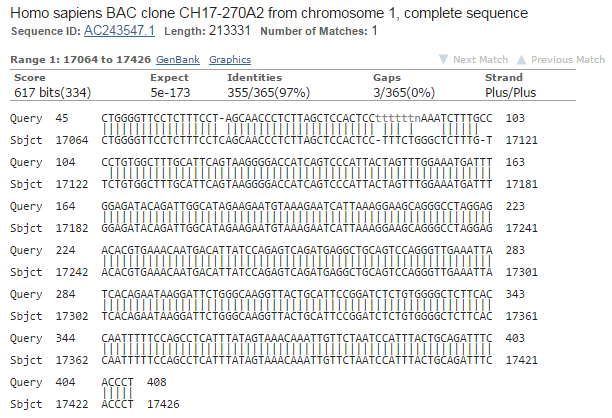 Figure 4: Blast alignment of the extracted data reveals a sequence match. Force processing has allowed useful data to be obtained. While force processing can be useful to rescue some traces, there are risks with using it on all traces. Force processing may produce nonsensical or corrupted trace files. It is advised that you use this feature only as a last resort, and that you do so with additional caution. Force processing is not magic. It can not create a high quality trace from a failed reaction. In most cases, a poor quality trace indicates that the sample will need to be sequenced again under improved sequencing conditions. Force processing may result in PeakTrace crashing. While PeakTrace can automatically recover from a crash and restart, you may notice the program closing and restarting. It is advised that force processing is only used if needed and not by default on all traces. The q average trim option allows you to select a quality score average clipping threshold and window size, so that traces are clipped at their 5′ and 3′ ends when the average quality score in a sliding window of defined base number falls below the clipping threshold. The default values are a quality score average clipping threshold of 12, and a sliding window of 20 bases. This means that by default, all traces are clipped when the average quality score falls below 12 within a window of 20 bases. This option is especially useful for removing low quality regions at the 5′ and 3′ ends of your traces. Figure 1 shows an unclipped trace with a poor quality 3′ region and Figure 2 shows the same trace processed using the q average trim to remove the low quality region. Figure 1. An unclipped trace showing a poor quality 3′ region. Figure 2. The same trace as in Figure 1, but trimmed with the Q average trim function. Selected parameter values were an average clipping threshold of 15, a sliding window of 20 and the trim 3′ end only function toggled on. The q average trimming option is compatible with the set ABI limits option, which will perform a soft or “virtual” trim of low quality end regions. If you have untrimmed traces that have already been processed through PeakTrace and you would like to trim them without being charged more units, you can perform post-process trimming by selecting abi/kb as the basecaller and choosing the appropriate trimming method. Remember to turn off the clean baseline, extra baseline and extra normalization options or else you will be charged for trimming the traces.